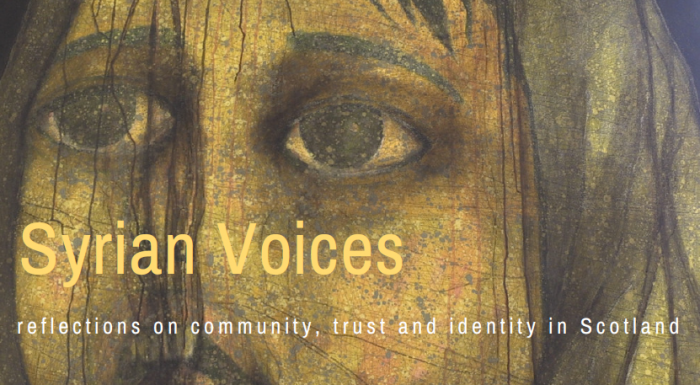 Syrian Voices is a short film which gives three refugee families the space to reflect on their experience of living in Edinburgh. The film was commissioned by the Welcoming and produced by Trina McKendrick and Kev Theaker of Written in Film. It is being presented at a range of community events across Edinburgh between October 2017 and March 2018. Screening of the film is followed by discussion with members of Edinburgh’s Syrian community, the Welcoming and the film makers. 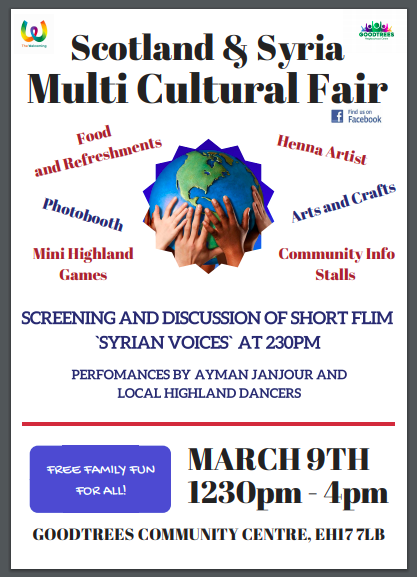 9 March 2018 – Scotland & Syria Multicultural Fair, Goodtrees Community Centre, 12.30pm – 4.00pm, screening of Syrian Voices at 2.30pm Find this event on Facebook. If you are interested in hosting a screening for a community group, please contact us to discuss. 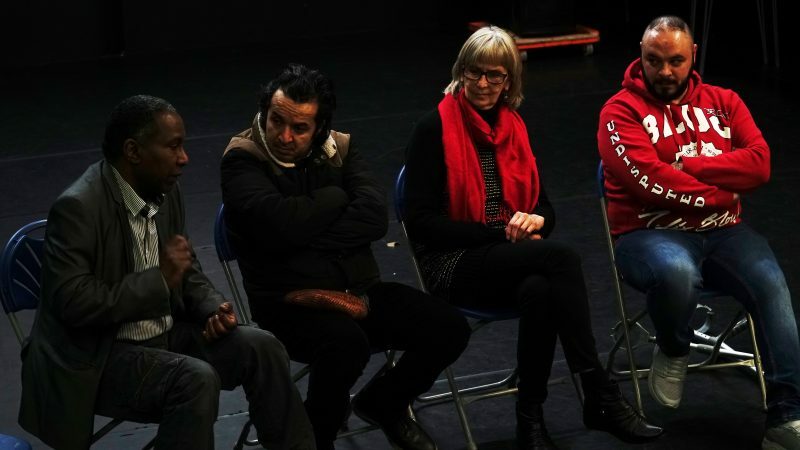 Many thanks to Police Scotland, the City of Edinburgh Council and the people of Edinburgh for supporting Syrian Voices through the ‘Shared Vision – Your Decision‘ Islamophobia Edinburgh project.